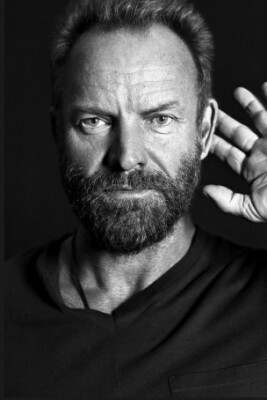 Grammy award winning singer songwriter Sting is to lend his support to the Hear the World initiative, a global hearing loss campaign that helps raise awareness about the importance of hearing and the consequences of hearing loss. Sting joins a host of other celebrity ambassadors including Jude Law, Elle Macpherson, Annie Lennox, Jerry Hall and Peter Gabriel. Each supporter has been photographed by musician and photographer Bryan Adams holding the Hear the World pose - with one hand cupped behind their ear to convey conscious hearing. Over 800 million people worldwide, more than 16 percent of the world's population, have hearing loss and experts predict this will to increase to 1.1 billion by 2015. In the UK an estimated 8.5 million people have hearing loss and struggle for up to 15 years before seeking advice. Studies have shown that this has a significantly negative effect on a person's social, emotional and physical wellbeing. Hear the World, which was set up in 2006 by leading hearing systems manufacturer Phonak, aims to call attention to the importance of taking care of your hearing, to prevent hearing loss in later life, as well as the social and emotional impact of hearing loss and the solutions available for those who suffer. "Our hearing is not only integral to how we communicate but also how we experience the world around us." Sting commented "It's a fact that we gain more information from hearing than seeing. I hope by supporting this campaign people are reminded to appreciate every sound and fully protect their sense of hearing". For more information about Hear the World, the celebrity ambassadors and advice about protecting your hearing visit www.hear-the-world.com. Hear the World is a global initiative by leading hearing system manufacturer Phonak created to raise awareness about the importance of hearing. The initiative calls attention to the social and emotional impact of hearing loss and addresses prevention of and solutions to a problem that affects more than 16% of the world's population. Bryan Adams, Annie Lennox, Lenny Kravitz, Plácido Domingo and other renowned personalities support the Hear the World initiative as ambassadors. In the context of the Hear the World initiative, Phonak has established the non-profit Hear the World Foundation to improve the quality of life of people with hearing loss through financial and technical assistance. The foundation is committed to the prevention of hearing loss as well as the support of people with hearing loss and their families.